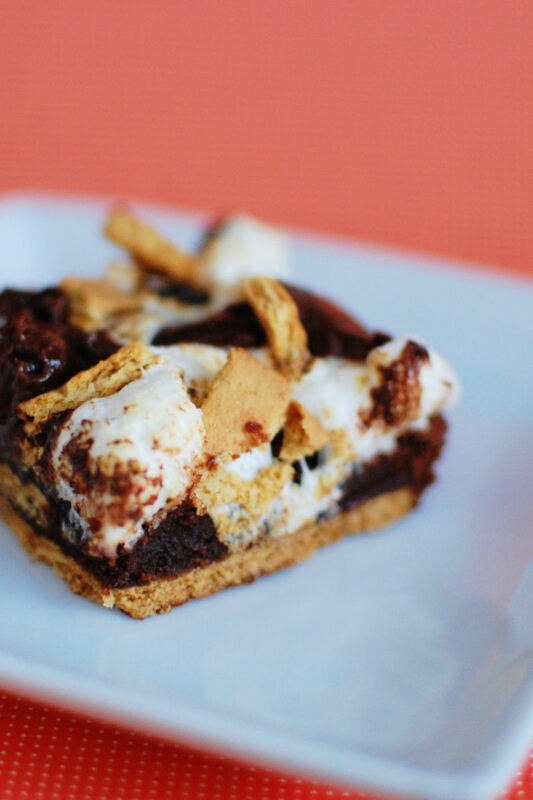 Imagine what a s’mores would taste like if you used a fudgey brownie instead of a small piece of chocolate. That’s what these little guys taste like. 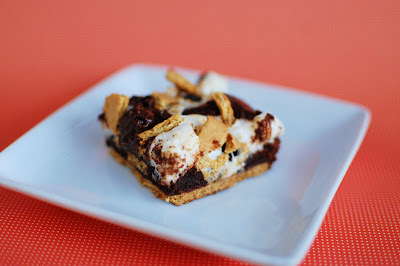 You get a nice crunch from the graham cracker on the bottom, then a fudge like brownie layer, topped with more chocolate, chunks of graham crackers, and mini marshmallows. As I mentioned the other day, I like my marshmallows to be charred when I make s’mores. So when I made these brownies, I had to toast the marshmallows. I busted out my kitchen torch and charred the toppings. It was a lot of fun to come up with another excuse to use my kitchen torch. It’s just so fun! I read some reviews that the brownie layer was a bit dry, so I was extra careful not to let that happen. In the end I think my brownies were a bit underbaked, but that gave them a gooey fudge like consistency that was perfect for these brownies. Everyone at work LOVED these guys. And they were so easy to throw together. If you’re in the mood for smores, give these a shot! Line 13x9-inch pan with foil; spray with cooking spray. Place 15 grahams in pan, with sides overlapping slightly. Break remaining grahams into pieces. Microwave butter and chocolate squares in large microwaveable bowl on high 2 min. ; stir until chocolate is completely melted. Add sugar, eggs and vanilla; mix well. Stir in flour. Pour over grahams in pan. Bake 30 to 32 minutes or until toothpick inserted in center comes out with fudgy crumbs. Do not overbake. 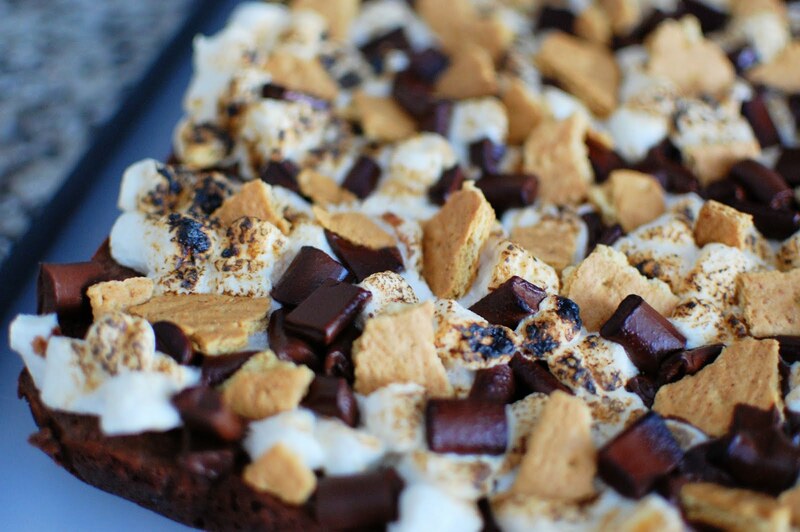 Sprinkle with marshmallows and chocolate chunks. Bake 3 to 5 min. 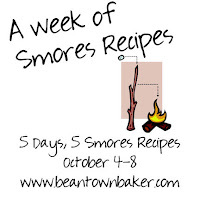 or until marshmallows begin to puff. Press reserved graham pieces gently into marshmallows. 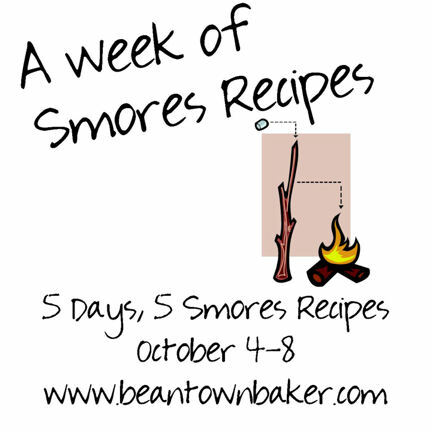 (Optional) Using your kitchen torch, toast the marshmallows. Cool. Use foil to lift brownies from pan before cutting to serve. That is NOT the Tunnel of Fudge cake! Where is the tunnel of fudge? I see no fudge. Where are the nuts? The proper recipe has 2 cups of nuts and they cannot be omitted. You should not be allowed to call this Tunnel of Fudge cake. You are a hack!